Often referred to as a “nose job,” rhinoplasty changes the shape of the nose and improves its function. Thus, it is a form of plastic surgery initiated for both cosmetic and medical reasons. Even so, while it remains a commonly requested procedure, it is one of the most challenging surgeries performed. 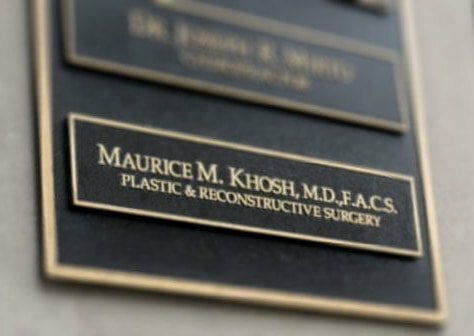 Interestingly, Plastic and Reconstructive Surgery explains that the complexity of surgery increases among male patients, because they tend to have relatively nonspecific complaints, are usually more demanding and are regarded as less attentive during consultations. Whether one agrees or disagrees, it’s important to have healthy goals and expectations when it comes to male rhinoplasty. In turn, it’s essential to pick an experienced plastic surgeon that can preserve one’s masculine features while creating harmony and balance. If you’re a male considering a rhinoplasty procedure, it’s wise to spend some time considering your motivations for doing so. For some, the reasons are purely aesthetic, such as a nose that is off-center, has a large tip, a bump or is too wide or thick. This includes those that feel as though their nose is simply too large for their face, as well as those that want to get rid of a distinctive “family nose.” In these cases, reshaping and refining the nose is often based upon an image that a patient has in mind. On the other hand, there are instances in which rhinoplasty is necessary to repair an old injury or to enhance one’s breathing. This is especially true for those that were once athletes and those that suffer because of a deviated septum. Regardless of one’s reason for seeking male rhinoplasty, a skilled plastic surgeon can help a patient clarify what they are looking for, and this cannot be emphasized enough. This is because revision rhinoplasty is one of the top plastic surgery procedures, and this is due to improper or ineffective rhinoplasty surgeries. 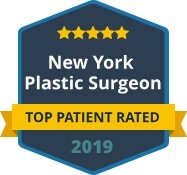 An expert in both rhinoplasty and nose reconstruction, Dr. Maurice Khosh is a top rated facial plastic surgeon in New York City and is widely-recognized in the industry for his superior technique and results. 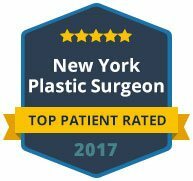 Call the NYC office of Dr. Khosh today to schedule a private consultation to discuss male rhinoplasty.